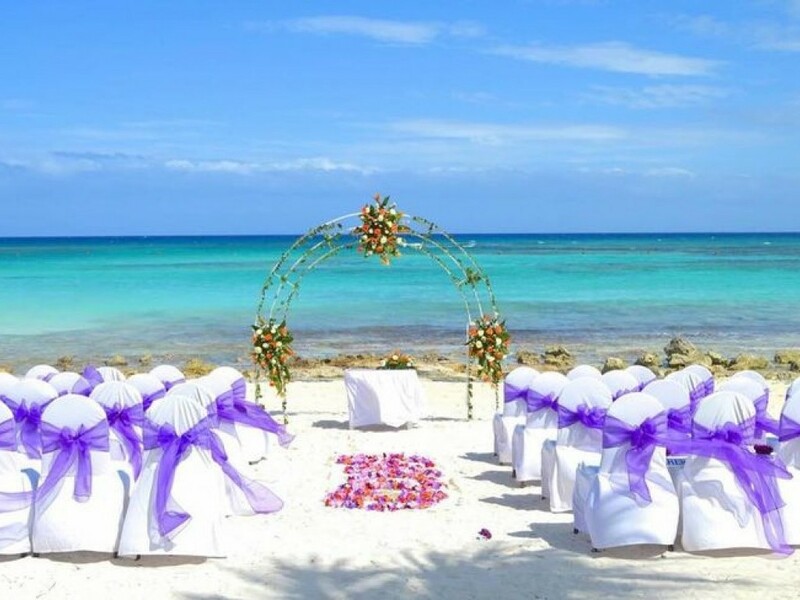 The package includes 50 guests for a ceremony full of details and amenities in the heart of Caribean. • Basic Henna Artists for bride only (full palms, strips on back of the palms and strips on feet). • Basic wedding Mandapor basic Gazebo decoration. • 2 simple natural floral garlands. • Basic wedding ceremony set up (No flowers included). • Private dinner reception with open bar in a Banquet Room during 3 hours for 50 guests. • Special Amenities and bottle of sparkling wine sent to the room. • 50 % discount in the VIP area of the Jaguar’s Disco for the wedding group. Bride and groom will get free access to the VIP area. 1. Package inclusions can not be exchanged for other services. 2. Any other services not mentioned above are available with an extra charge. 4. This package is not valid with any other promotion or package. 5. In case of bad weather wedding can not be cancelled, it will be moved to back up. 6. 6.Once the packages and the extras are paid they are not refundable.